Earlier this summer, Republican presidential candidate Donald Trump had the chutzpah to question John McCain’s military record. “He’s not a war hero. I don’t like people who were captured,” Trump asserted, because of McCain’s experience as a prisoner of war in Vietnam. In response, the Military Officers Association and Iraq and Afghanistan Veterans of America leapt to the Arizona Senator’s defense. They demanded that Trump apologize to the still physically scarred former prisoner of war. A similar public outcry is needed now by these same organizations to stop McCain himself from doing far greater harm to millions of veterans. At stake is the future of the whole Veterans Health Administration (VHA), not just the personal reputation of one man who served. 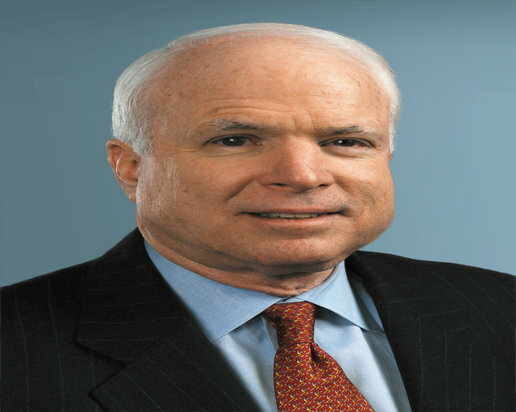 Unfortunately for veterans, McCain’s current captivity to conservative ideology has far out-trumped his past solicitude for fellow “wounded warriors.” On August 5th, McCain introduced legislation —The Permanent VA Choice Card Act –– that would seriously undermine the quality of care received by VHA patients of all kinds. Just last year, McCain brokered a bi-partisan deal with Bernie Sanders, then chair of the Senate Veterans Affairs Committee, to pump $17 billion into the VHA to reduce wait times for appointments—and handle the huge influx of Afghan and Iraq war vets—by hiring more hospital staff. As part of their compromise, McCain won funding for the Veterans Access, Choice and Accountability Act (VACA)—better known as “Choice.” It allows veterans to obtain care outside the VHA system, if they live more than 40 miles from a VHA facility or would have to wait more than 30 days for an appointment. The Choice program contained crucial restrictions. It was supposed to end in 2017 by which time the VHA would have staffed up enough to reduce wait times that became controversial at VHA hospital in Phoenix and a few other locations. Now McCain is reneging on his commitment. He wants to make the program permanent, eliminating its 2017 expiration date. He also wants to make private health care an option for any eligible veterans regardless of where they live or whether or not they have experienced any delays receiving care at a VHA facility. In announcing his bill, McCain accused the VHA of dragging its feet on implementing the Choice program. He called for expanded privatization of VHA services as the only way to reduce costs and improve care. One leading critic of McCain’s approach is new Secretary of Veterans Affairs, Robert McDonald, former CEO of Procter & Gamble. He seems to understand the many shortcomings of the private sector health care model for veterans far better than McCain. McDonald has already warned Republicans in Congress that our nation’s sickest and poorest veterans will be deprived of the unique health care expertise the VHA has developed over 60 years—and U.S. taxpayers will end up paying more for their care—if GOP privatization schemes succeed. Based on my own VA hospital visits and research, I see little evidence of any real Congressional grappling with questions related to the cost, quality, and availability of VHA care. For example, how would privately contracted physicians, nurses, social workers, PTs, OTs and pharmacists – to name only a few – deal with veterans who have higher rates of mental illness, PTSD, poverty, homelessness, than the average patient seen in the nation’s private sector healthcare system? Would they recognize Agent Orange related illnesses when they saw them? How about Gulf War Syndrome, or the constellation of respiratory, gastro-intestinal, skin, and cardiovascular problems due to exposure to fumes from the burnpits of Iraq and Afghanistan? Although the VHA is trying to play catch up with female veterans, VHA mental health providers are well versed in the problems of military sexual trauma (MST)from which an estimated 80% of female veterans suffer. Do private sector providers even know about MST? Have staff – from the housekeeper to the physician — in the nation’s private sector hospitals been trained to recognize the signs and symptoms of suicidal behavior so they can prevent one of the major problem that plague hundreds of thousands of veterans? Are private sector primary care providers well versed in the subtle signs of the PTSD – a condition that afflicts 16 to 30% of combat veterans? How would private sector providers help veterans who now receive coordinated, care that integrates mental and physical healthcare services, home based care, geriatric, palliative and hospice care them navigate a fragmented, siloed health care system in which patients are on their own to make it all work? What would happen to the VHA’s research program under the McCain/Concerned Veterans plan. These programs have produced benefits for all Americans (think advances in tuberculosis treatment, the development of the nicotine patch for smoking cessation, and the first successful liver transplant and the development of anti-rejection techniques)? And what would happen to the VHA’s legal and social equity programs – like the Veterans Courts (that helps veterans who have committed crimes stay out of prison) and programs to end homelessness in the veteran population? Would-be privatizers of the VA may not even know such programs exist. That’s the voice of personal experience speaking, not just conservative ideology on automatic pilot. If John McCain wants to be a hero today, he should shed his ideological blinders and listen to what many of his fellow veteran have to say. Healthcare Journalist Suzanne Gordon is editor of the Culture and Politics of Healthcare Work Series at Cornell University Press. She is working on a book on the Veterans Health Administration.